Finding quality and reliable computer, iPhone and iPad repair service can be daunting task. In the Winter Haven area, though, it has become much easier thanks to the third store expansion of the top local repair company, now opening a new repair shop in Florida. The store’s technicians will repair desktop PCs, Macs and laptops from nearly any manufacturer, along with iPhones and iPads. They will also help you update their systems with data or speed tune-ups, or help you install malware, software or other upgrades! New customers are in for a treat, as while they wait for their repairs, they can stay and relax and enjoy TV, video, coffee. “Opening a third second shop is really great for our company and our customers,” commented Chris. “Our mission is to provide not only high quality, affordable repair, but also to do it in a way that’s as convenient as possible. Anything we can do to relieve the burden of broken computers or phones is our pleasure. Our new shop will help us fulfill the growing needs of the Winter Haven and surrounding communities and offer a warm and inviting venue to return to for years to come.” The new North office is located at 6320 Cypress Gardens Boulevard, Winter Haven, FL 33884. For more information visit https://lakelandcomputerrepair.com/locations/winter-haven/ or call 863-229-2655. The store’s technicians will repair desktop PCs, Macs and laptops from nearly any manufacturer, along with iPhones and iPads. Chris Hudson has long experience with computer and iPhone repairs and is well established and highly respected in Lakeland, FL. 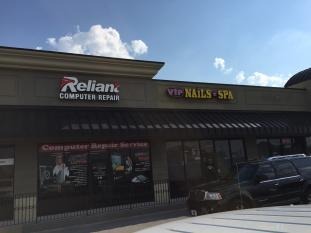 His clients know that they can always rely on him and the staff of Reliant Computer Services to do an outstanding job and save them time and money from having to buy a new computer or phone.